Recipe Fresh Lemongrass Ginger Wedang Deliciously Healthy and Simple. 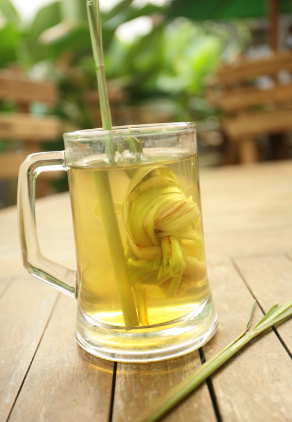 Wedang ginger is a hot beverage that became typical of the area of East Java and Central Java. This drink once in each match during the rainy season like this, so when in need of warmth drink ginger, into the body of the terrace will be more comfortable and warm. Besides being able to warm the body, ginger can help cure many kinds of statement, such as fever, flu, flatulence and blood circulation. Because ginger has many benefits, so a lot of traders who wish to sell warm drinks is the ginger lemongrass. The aroma is very typical drink all of smell, can not bear to immediately try this warm drinks. Okay, so more details follow the way below correctly so that the results of the warm drinks to warm your entire family at home. Do not forget to look at the food was warm so the body also provide warmth because in the rainy season is the most in need is food or drinks warm. Ginger lemongrass recipes easy enough right? Please you can try it in your home, after so drink do not forget to divide into another family yaa ... good luck and congratulations presents! 0 Komentar Untuk "Recipe Fresh Lemongrass Ginger Wedang Deliciously Healthy and Simple"